If you’re reading this, you’re probably wondering which website builder is best for you. Well, it’s a good job you’ve arrived! Website builders generally do have similar features to equip you with the tools to make your perfect website. However, there are also many difference between them, setting one platform apart from the other. I’ve signed up and used both Wix and Squarespace in order to give you an accurate representation of each website builder. User experience is something which cannot be ignored (and shouldn’t). 87% of consumers own and use a mobile device. It’s estimated that 6.1 billion people will be using a smartphone by the year 2020! 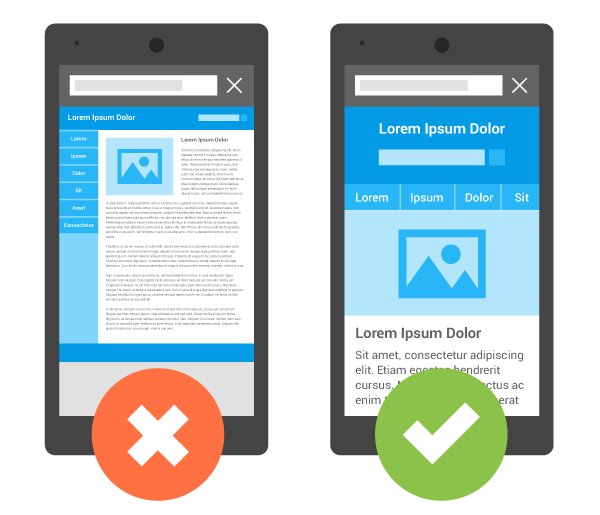 According to IMPACT, nearly 60% of mobile users would not recommend a business with a poor mobile site. When designing a website using a website builder, I expect to be equipped with a mobile ready site. I experimented with Wix and Squarespace’s tools and features to see how easy it would be to design a mobile a website. Let’s take a look at the results! Wix has loads of beautifully designed templates to choose from. However, they don’t provide exclusive responsive templates. That’s not to say that their templates aren’t mobile ready, because most of them do appear to be. It’s great if you’re simply looking to make a few changes to an existing template! But, if you want to add/remove features like blogs and forums, things get a little more tricky. 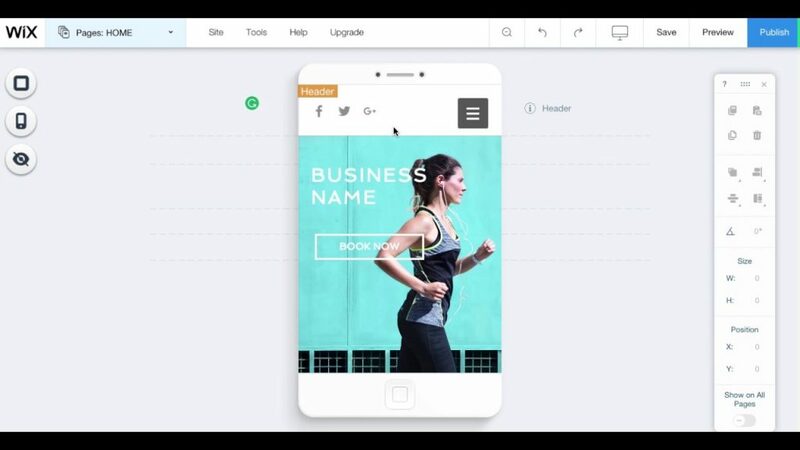 Wix has a mobile interface editor which allows you to view a mobile version of your website and edit content as you please. The issue is that this can cause the process of creating a website to take a lot longer than other website builders. If you’ve got the time though, Wix’s mobile editor is actually very powerful. There’s lots of advanced tools allowing you to create a mobile version of your website that’s either the same or entirely different to your desktop version. In my opinion this offers a lot more flexibility and control over how your mobile visitors view your website. On the flip side, Squarespace’s templates are all mobile responsive. They can be used on desktops, laptops, tablets, and mobiles, with absolutely no effort or changes required. Their templates look absolutely effortless and I for sure love them! Because all of Squarespace’s templates are designed by professionals, there’s a level of guarantee that other website builders don’t offer. If you’re not sure how your website will look, you can easily view it on a selection of devices and test it’s responsiveness in front of your own eyes. When you’re paying for a website builder, you want to be reassured that you’re getting the most for your money. I certainly do anyway! Features are of course dependent on what your own needs are, but it’s also possible to make a general assumption as to which builder offers more. App Market: Whether you’re looking for a form builder or newsletter signup, the app market has it all. Apps unfortunately aren’t free, so you’ll need to pay a price on top of the standard Wix fee. eCommerce: You can build an online store within minutes! Wix’s store manager allows you to organise and filter products into collections, as well as creating options for sizes, colours, etc. Blog: It’s super easy to integrate a blog into your website. You can manage posts, social media, and comments all in one place. Forums: Does your website have a need for a forum? Sure it does! It’s simple to add a forum to your website where users can interact with each other and post thoughts/ideas. Import/Export: As well as creating your own blog with Squarespace, you can import content. That’s right, if you have WordPress, Blogger, Tumblr, etc. you can bring your content over to your site. App management: If you need to make any changes to your Squarespace site on the go, there are iOS and Android apps to access your account. Developer platform: Confident with code? Squarespace allows you to change any code on your website so you’re not stuck with your template looking the same as everyone elses. Access levels: Having a team of people manage your website can be useful. Especially if you’re running an eCommerce store. Squarespace gives you the option to manage multiple contributors with different access levels. In my experience, both Wix and Squarespace have offered outstanding support. In fairness I’ve never really needed to contact them, but as a test I did. There’s not too much to say on this subject, so I’ve briefly summed up my thoughts on both website builders below. Overall, Wix’s plans are cheaper than Squarespace’s. If price is all you’re worried about, Wix would seem like the sensible option. You can choose Wix’s free plan, but you’ll have a Wix branded advert displayed on your website at all times. You’ll also have a Wix domain e.g. (mywebsite.wix.com) which in my opinion doesn’t look very professional. If you’re willing to pay for your website, Wix offers tiered pricing to suit all users, from beginners to experts, blogs to online stores. Squarespace is more on the pricey side and they don’t offer a free plan. If you want to try their services, you can opt into their 14 day free trial. If you know what you want from your website builder, Squarespace offers more features than most I’ve seen, so their hefty price tag really does seem worth it. If you’ve never used a website builder before and want a more professional look, give Squarespace a go for free to start off with. To be honest Wix winds hands down. I’ve used it for many sites over the past few years and it’s my “goto” website builder. Wix is a great platform if you’ve never created a website before. It’s also pretty handy if you want to edit the entire content of your site including it’s positioning on desktop and mobile. Wix’s ease of use makes it a perfect choice if you’re not too fussed about having every feature available to you. You’ll honestly have a different experience with both website builders; neither of them are sub-standard to the other. They have both positioned themselves well in their market, providing the tools and resources to build a professional website from scratch at their reflected prices.